The Boss is getting ready to trod the boards, with The New York Post reporting that Bruce Springsteen is headed to Broadway. Springsteen isn’t slipping into the cast of The Lion King, though. (“Say, Jerry, does that dancing ocelot seem like an ageless, ruggedly cool expression of American discontent?” “Hmm, Mildred, you know, I’m not sure…”) Rather, he’s setting up an eight-week residency at the Walter Kerr Theatre, playing five nights a week. The theater is giving Springsteen its stage rent-free, presumably on the theory that this deal will spell thousands for its bar staff in watered-down Long Island iced teas. It’s also reignited rumors that a Springsteen musical is in the works, presumably based off the singer-songwriter’s memoir, Born To Run. 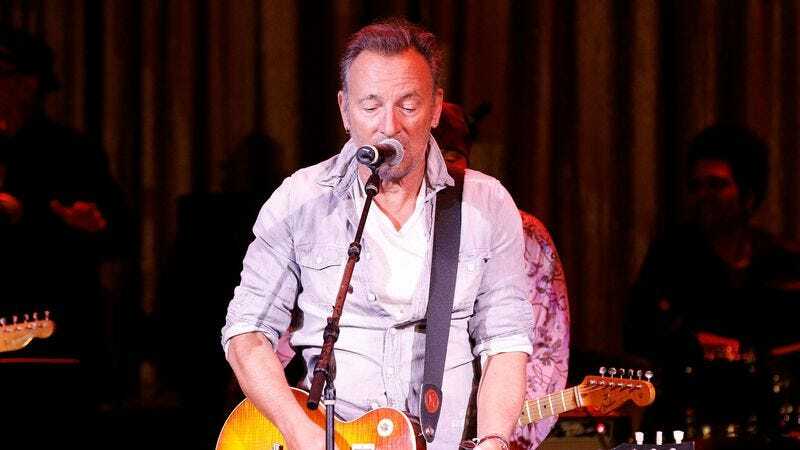 Springsteen floated interest in the idea last year; if it went forward, the project would be the second attempt to adapt Springsteen to the stage, after a failed musical, Drive All Night, fizzled out back in 2002.